Interested in Prepper Gear Box? If you are interested in a Prepper Gear Box subscription, then take a few minutes to watch the videos below before you make your decision. Jack unboxes his first 6 months of boxes so you can see "What's in the box?!" If you like what you see, head on over to Prepper Gear Box to try a subscription or just a single box (this is an affiliate link that will earn a commission). 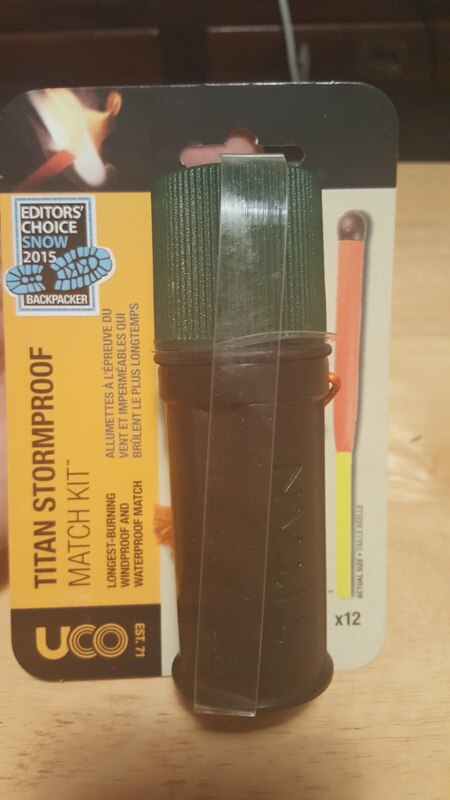 Finally, Team Adventures with BeeGee is giving away a Titan Stormproof Match Kit to a US resident. Just watch all the videos in their entirety to win (just kidding though we would appreciate it!). To actually enter, head down to the bottom of the page and use the Giveaway Tools entry form for your chance to win. This month’s goodies include: Morakniv Companion, SWAT-T Tourniquet, Tactical Pen with Glass Breaker, Pressure Point Skill Card, and How to Make a Solar Still Card. This month’s goodies include: Mtech Ballistic Spring Assisted Knife, Esbit pocket stove with fuel tabs, 5ft. 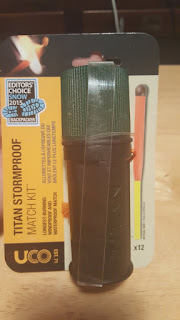 FireFord paracord, 12 unique and useful uses for lip balm knowledge card. This month’s goodies include: Paracord Grenade Survival Kit, Wetfire Tinder cubes, Aquamira water purifier tablets, basic fire building skills card. This month’s goodies include: kwr-g5 SAE pocket tool, not so typical tampon uses knowledge card, and creative uses for condoms knowledge card. This month’s goodies include: Tactical Molle Backpack, TAC-Force Tactical Knife, Max Maxpedition Tactical Field Deck Playing Cards, Grimloc-style D-ring clips, UST’s Sparkwheel Firestarter, and shelter building basics knowledge card. This month’s goodies include: Thompson survival snares, Millennium Energy Bars, UCO Titan Stormproof Match Kit with case shemagh tactical scarf, LuminAID PackLite 16, and a surviving with a shemagh knowledge card. Let us know how you prep. If you are interested in more videos then check the Adventures With BeeGee YouTube Channel. Hola. I have no prepper/survival experiencia, but the tampon and condom cards sound like a sound investment.